Remember when the American Board of Medical Specialties (ABMS) Maintenance of Certification (MOC®) was sold to physicians by our specialty societies and ABMS member boards as a "pathway to know that they are staying current in the medical knowledge they use to treat patients and make important care decisions daily?" "ABMS MOC® is a system of specialty-specific assessment and professional development activities that require medical specialists to reflect on their practice performance, identify gaps, and adopt new practices to improve care." It seems physicians and the public were purposefully mislead. 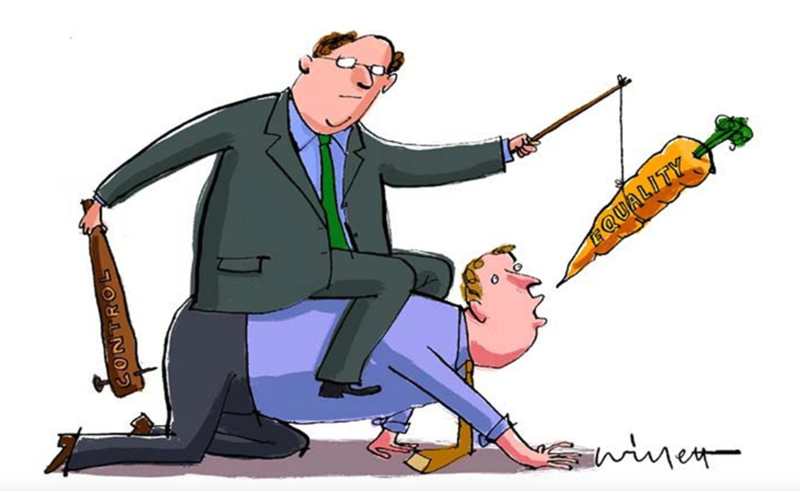 MOC® was always a stick that is now being introduced as a carrot to direct physician behavior. "Effective Jan. 1, 2019, the board certification status of family medicine, internal medicine and pediatric practitioners will be reviewed annually. If their board certification status has lapsed and they are a designated patient centered medical home physician, Blue Cross will grant an exception and allow the practitioner to remain in their Blue Cross and BCN managed care networks. This exception does not apply to new practitioner enrollments. Blue Cross and BCN will continue to require all providers to have board certification upon initial enrollment for affiliation." Meanwhile, the ABMS "Vision Commission" tap dances and distracts by seeking more public comment 2019 timeline magically appears, just as the transition to Medicare's next unproven "value-based" physician pay model is implemented. Not much of a carrot if you have ever worked for one of Dr. Baron's Patient Centered Medical Homes that he promoted for the industry and government. My question is how can the ABIM CEO, Rich Baron, get away with misusing physician fees year after year. The conflicts of interest here are maddening. Baron worked promoting PCMH for CMS Seamless Care Models program and worked along the same conflicted lines at the NCQA (which also pushes the PCMH model). How do they all get away with such shameful manipulation of our healthcare system using alleged apolitical/non-partisan/financially neutral NGOs. The ABIM is supposed to be involved in certifying doctors only, but Baron and previous CEOs used the non-profit to further his/their political aims and personal financial goals. It is obvious ABMS executives are getting rich, while at the same time sucking up to corporate medicine and the powerful insurance industry? Stick and carrot prescriptions for medical professionals? What a sham the whole thing is. It is not only unprofessional, it is illegal all the crap they get away with. They used the stick and carrot model from the beginning. Here's a sample of the pathetic collusion between the ABMS and NCQA. The National Committee for Quality Assurance (NCQA) and the American Board of Internal Medicine (ABIM) jointly announce that board-certified physicians who earn NCQA Patient-Centered Medical Home (PCMH) or Patient-Centered Specialty Practice (PCSP) Recognition can now earn Practice Assessment Maintenance of Certification (MOC) points and Patient Safety MOC credit from ABIM." Digital Quality Summit Sponsorship: NCQA and HL7 are partnering to host the Digital Quality Summit on November 14–15 at the Ronald Reagan Building and International Trade Center, DC. The Digital Quality Summit will feature a program of highly interactive working sessions. Attendees will work in teams to solve system interoperability challenges through quality measures as a use case to demonstrate health information technology (health IT)-enabled reporting strategies. This event presents a unique sponsorship opportunity for companies to connect with participants actively involved in improving the world of health IT. More than 200 innovators, data intermediaries, quality measurement experts, federal and state representatives and senior decision makers will convene to share information on how HL7 standards are being used for quality measurement and to advance measure interoperability solutions. As a sponsor, your organization will receive immediate and year-long recognition on NCQA’s website acknowledging your support in the efforts to improve the health IT landscape. What do the ABIM and NCQA have in common besides colluding together on MOC requirements? And both NCQA and ABIM seem to deny doing any lobbying on their IRS reporting (at least through 2016 for NCQA, which is all we have data for on them and through 2015 for the ABIM when Baron decided to fire his lobbyists. Open secrets reports NCQA engaged in consistent lobbying in healthcare related matters for each quarter during 2017 and 2018. It is difficult to believe what Peggy O'Kane the CEO and other execs pay themselves. It is embarrassing to say the Peggy O' makes over twice what the President of the US would take home. What's more troubling is that the salaries/benefits of the NCQA combined is considerably over twice the entire amount paid out to all 100 of our hard working US Senators. As a business receiving government contracts it is my opinion that these "Hedis people" should humble up regarding what they are paying themselves out of our taxpayer dollars. It is imo gouging the taxpayer/overcharging the government for services and appears to be an abuse of tax exempt status. What in the devil's name are these not-for-profit quality cartels doing that is so important that they can justify paying themselves such uppity compensation packages? No telling what they are dishing out to themselves in 2018 or the increases they plan to give themselves coming in 2019. Big Data/Big Politics and Big Quality run amok? And how much are they paying their conference speakers? Are the NCQA and other sundry ABMS cronies egalitarians or corporate marauders causing the wells of private enterprise and independent scientific thought to run dry? Has the quality assurance industry gotten away from us, where non-profit assessment, testing and accreditation organizations have become, not voluntary self-regulating mechanisms of quality as they claim, but instead instruments of corporate greed/expansion with their need to maintain control of markets and market forces. It appears the latter is unequivocally the case today and the question seemed rhetorical from the first phrase has the QA industry gotten away from us. The privatization/corporate monopolization of finite resources (x resource) domestically and globally is harming people - just to enhance corporate profit. We can see this happening everywhere in almost every sphere of life. And thhese unfair practices are are hurting everyone's purchasing power, as well as the availability of goods and services. In short, monopolization of resources is hurting labor markets and supply of goods and services, just as much as it is harming the consumer. Looking at the physician workforce and what is happening to healthcare delivery in the US, it is evident and getting ever more alarming. Yet only a small number of people respond, it seems. As a result of inadequate citizen and government resistance, corporations have gobbled up private enterprise, by forcing independent organizations and private doctors off their turf/land, so to speak. The corporate/NGO double speak is deafening, but it happens in places where most of us cannot see or hear what is taking place. When we do find out we see what is happening is unethical creating unfair advantage for those aggressive drivers forcing others off the road - the same bandits who keep driving away with truck loads of physician money to form their war chests with. This is ironic, but who knew what was happening as it is kept in the dark. There is no transparency, only platinum lip service when they get caught with their left hand giving cash to their right hand as they are dipping into the "foundation" bank or cooking jar. The executives of larger corporations are consciously taking advantage of the trust of the American people, behind the understaffed back of the IRS, by utilizing (unlawfully imo) non-profit organizations and their executives for personal profit, political control and increased corporate power. What those at the top with the money and power are doing is causing the wells of private enterprise to run dry - not unlike what Standard Oil and Rockefeller did after the turn of the 20th century to destroy nearly all competition and fair play in business. The corporate appetite for money and greater control of markets is destroying the backbone of American business and the opportunity for Americans to have an independent successful go of private enterprise. Nowhere is this more evident than in the profession of medicine where doctors are under assault everyday with more and more onerous conditions, financial constraints, and countless pointless mesmerizing demands for quality and value. It is the most damning portraits of government and corporate corruption and complicity in the history of the United States. As more and more shared and private wells run dry everyday and patients are left without choice, and less access to quality healthcare, there is perhaps some insight to draw from looking at the cunning corporate strategy for taking water rights away from millions, if not billions of people around the globe in the quest for greater profit, share price and corporate expansion. It is more than curious how a testing/certification monopoly, with its blatant history of fabricating self-serving surveys and studies, would have the nerve to stack yet another deck of cards using the same familiar house dealers to control the outcome. And they feign to call it a "commission" meeting in Washing DC as though they were appointed by the government, when in fact they are only a self-dealing corporate body serving industry stakeholders and special interests. The Continuing Board Certification: Vision for the Future Commission (Commission) held its fourth in-person meeting on October 15-16 in Washington, DC. Focusing on its initial set of key findings, the Commission members reviewed and refined those findings and began drafting final recommendations. The findings and recommendations will be part of the Commission’s formal report that will be shared for public comment prior to the year’s end. The Commission’s findings and recommendations report will reflect the input and diverse needs of the various key stakeholders invested in the continuing certification process. Following a period of public comment on the key findings and recommendations draft, the Commission will meet one last time before submitting its final report to ABMS in early 2019. The Commission continues to encourage input from many constituencies and appreciates the incredible level of sustained engagement in the Vision Initiative. We hope you will continue to follow the Commission’s progress, and we encourage you to visit the website for updates and opportunities for your feedback and input, most importantly on the upcoming draft report. In anticipation of that draft’s release for public comment, we ask that you share this update with your colleagues so they have an opportunity to review and share their feedback on the Commission’s findings and recommendations. Commission Reviews Key Observations and Findings from Testimony and Stakeholder Feedback"
Where have we seen this self-dealing MOC "commission" before with lots of $ riding on the table? In 2015-2016 the same insider dealer was working hard broadening the definition of who their physician clients were and expanding the ABMS revenue base. It seems the commission has appointed itself as the "trusted source" of information for the public.